What Are the Long-Term Consequences If You Are Convicted of DWI? If you are convicted of driving while impaired (DWI), your conviction comes with stiff short-term and long-term consequences. That is why you want to mount a strong defense whether or not you believe you are guilty. There could be defenses that could result in key evidence not being allowed to be used against you or the charges being dismissed. However, you will need the assistance of an experienced DWI attorney if you hope to reduce the consequences of a DWI conviction. 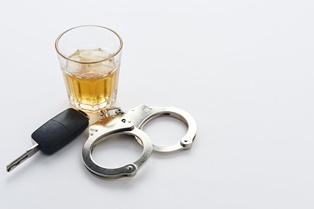 What Are the Long-Term Consequences of a DWI Conviction in North Carolina? Permanent criminal record. If you are convicted of DWI, you will have a permanent criminal record that can be discovered when a background check is performed. Employers, landlords, and officials in charge of financial aid applications are a few of the individuals that may conduct a background check. Your DWI could result in you not getting a loan or scholarship for college, an apartment, a job, and more if a background check is done as part of the application process. Current job. If your job requires a commercial driver’s license, such as a truck or bus driver, you may lose your license and your job. It could also affect other jobs that require you to drive if your license is suspended or restricted. In addition, if you must take too much time off work for a jail sentence or community service hours, this could result in your employment being terminated. Future job prospects. Since many employers conduct a background check when considering job applicants, it can become difficult for you to obtain employment once the DWI is discovered. It is seen as a crime on job applications, and many employers are reluctant to hire someone with a criminal record. Certain jobs, such as police officer, firefighter, nurse, and teacher, can be almost impossible to obtain a DWI conviction. Loss of professional license. You will almost certainly lose a commercial driver’s license with a DWI conviction. In addition, other licenses, such as a pilot’s or medical license, may also be at risk of being revoked. Increased auto insurance rates. A DWI conviction will dramatically increase your auto insurance rates. Under North Carolina’s Safe Driver Incentive Program, your insurance premium will increase 340 percent for three years after a DWI conviction. Increased life insurance rates. Your life insurance rates could be more expensive due to a DWI conviction. Like a person who smokes cigarettes, you could be viewed at higher risk by the insurance company and more costly to insure. Travel. Many people convicted of DWI are surprised to discover that it limits their ability to travel to other countries. Many countries prohibit travelers who have a criminal record—which includes a DWI conviction—from entering their country. Immigration status. If you are convicted of DWI, you could lose your immigration status to remain in the United States legally and to gain permanent citizenship. Military. If you are considering joining the Army, Air Force, Marines, or Navy, a DWI conviction may make this more challenging. If you are in the armed forces, you are held to a much higher standard of conduct than the general public. A DWI conviction—even a first offense or an offense on personal time or vacation—can potentially ruin your career and result in a demotion in rank or a finding that you are unfit for duty. Civil lawsuit. If you caused someone to suffer injuries or death in a motor vehicle accident when you were intoxicated, you could face liability for compensating the victim. While your insurance company will cover your responsibility up to your liability coverage amount, you could be responsible for a significant sum depending on your coverage and the extent of the victim’s injuries. If you have been charged with DWI, you want to do everything you can to reduce the negative short-term and long-term consequences of a conviction. Call our Charlotte office to schedule a consultation with one of our DWI attorneys, who are also former Mecklenburg prosecutors, to discuss your situation and get your questions answered.